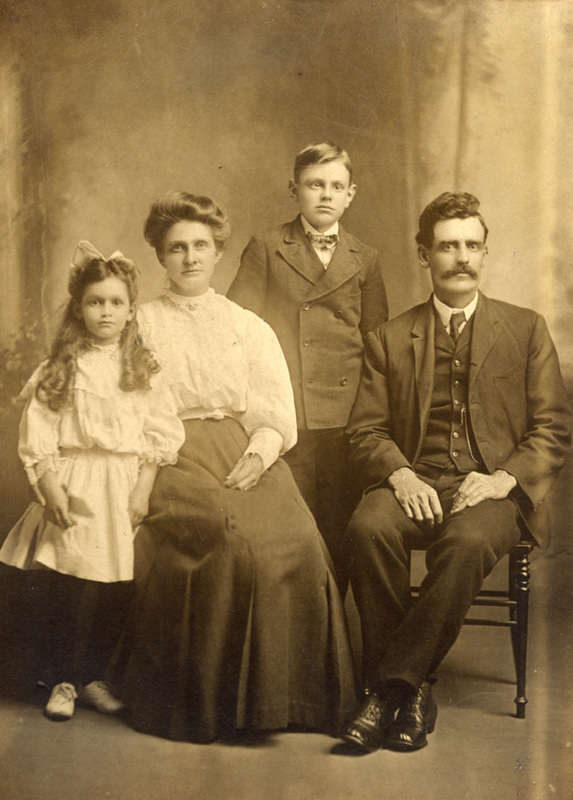 Zephaniah Phillips Jr., 1868-1957, and his wife, Mary Deisner, 1872-1957, with their two children, Zephaniah Phillips III, 1896-1977, and Olive Mae Phillips, 1900-1981. Zephaniah Phillips Jr. was the son of Zephaniah Phillips Sr. and Mary E. Pierce. Mary Deisner Phillips was the daughter of Anton and Dora Deisner. Zephaniah III later married Barbara Viola Faul. Olive Mae never married. The photograph was taken by Moore, Jacksonville, Florida. Photograph courtesy of Dixie Pernell and Jo Parker.